The image of then Indian Foreign Minister Jaswant Singh — after having just chaperoned three jailed terrorists to freedom — walking hand-in-hand with the Afghan Taliban regime’s foreign minister, Mullah Wakil Ahmed Mutawakil, on the runway at Kandahar Airport in late 1999 still haunts. Mutawakil was later imprisoned by the U.S. military at the Bagram airbase in Afghanistan. Now Indian Finance Minister Palaniappan Chidambaram has greeted Afghan Taliban leader Mullah Abdul Salam Zaeef in Goa, best known for its beaches. Zaeef, the Taliban’s ambassador to Pakistan until the U.S.-led military intervention in Afghanistan, spent four years in America’s notorious detention center at Guantanamo Bay. In 1999, no sooner had a hijacked Indian Airlines flight landed in Kandahar than a hallucinating Jaswant Singh began briefing newspaper editors about the great opportunity it presented to drive a wedge between the Afghan Taliban and its sponsor, Pakistan. In truth, he was preparing ground for what became an ignominious cave-in unparalleled in modern world history — a foreign minister flying to known terrorist territory in a special aircraft to hand-deliver three terrorists so as to secure the release of a planeload of hostages. Now fast-forward 14 years: Prime Minister Manmohan Singh and his advisers are feeding the Indian public their hallucination that engagement with the Taliban can help drive a wedge between that thuggish militia and Pakistan and thereby aid India’s interests in Afghanistan. Zaeef’s Goa visit, in reality, was part of a broader U.S.-initiated effort to make an American deal with the Afghan Taliban internationally acceptable. Washington is seeking a deal with the Taliban as a face-saving way to end its war in Afghanistan next year as planned and also to safeguard the military bases it intends to keep in that rugged, landlocked country after 2014. To bolster that effort, the United States has kissed and made up with Pakistan, resuming generous aid to that country and working closely with the Army and Inter-Services Intelligence (ISI) chiefs there. The restored $1.6 billion aid had been blocked because Pakistan never came clean about who helped Osama bin Laden hide for years in a military garrison town near its capital, Islamabad. U.S.-Pakistan relations also came under strain because the Pakistani military establishment both shelters the top leadership of the Afghan Taliban, who kill American soldiers, and aids jihadists who carry out cross-border attacks in India and Afghanistan. Yet with his 2014 deadline to end combat operations in Afghanistan approaching, President Barack Obama has reached out to Pakistan. After talks with Pakistani Prime Minister Nawaz Sharif at the White House last month, Obama “commended the resolve” of Pakistan “to defeat terrorists.” He also praised Pakistan — “an essential partner” — for its helpful role in the Afghan peace process. In recent years, the U.S. has carried out from Afghanistan a series of air and drone strikes in Pakistan’s tribal Waziristan region against the Pakistani Taliban, the nemesis of the Pakistani military. U.S. drone strikes have killed two successive chiefs of the Pakistani Taliban — Baitullah Mehsud in 2009, and Hakimullah Mehsud at the beginning of this month. But, tellingly, the U.S. has not carried out a single air, drone or ground attack against the Afghan Taliban leadership, ensconced in Pakistan’s sprawling Baluchistan province, located to the south of Waziristan. To justify the planned Faustian bargain with the Afghan Taliban — despite the major regional implications it holds — the Obama team is drawing a specious distinction between al-Qaida and the Taliban and differentiating between “moderate” Taliban amenable to a deal (the good terrorists) and those that rebuff deal-making (the bad terrorists). Zaeef is a “good” terrorist and has been rewarded (like the Taliban’s rehabilitated ex-foreign minister Mutawakil) with a plush house in Kabul. The U.S., moreover, has facilitated both the Afghan Taliban’s opening of a de facto diplomatic mission in Doha, Qatar, and the overseas visits of some “good terrorists” to places ranging from Berlin to Tokyo. It has now roped in India to lend legitimacy to its effort. In seeking to co-opt its main battlefield opponent — the Afghan Taliban — the U.S. seems unconcerned that it is bestowing legitimacy on a terrorist militia that enforces medieval practices in the areas under its control. This is in keeping with a long-standing U.S. policy weakness: The pursuit of narrow geopolitical objectives without much regard for the long-term consequences or the interests of friends in the region. 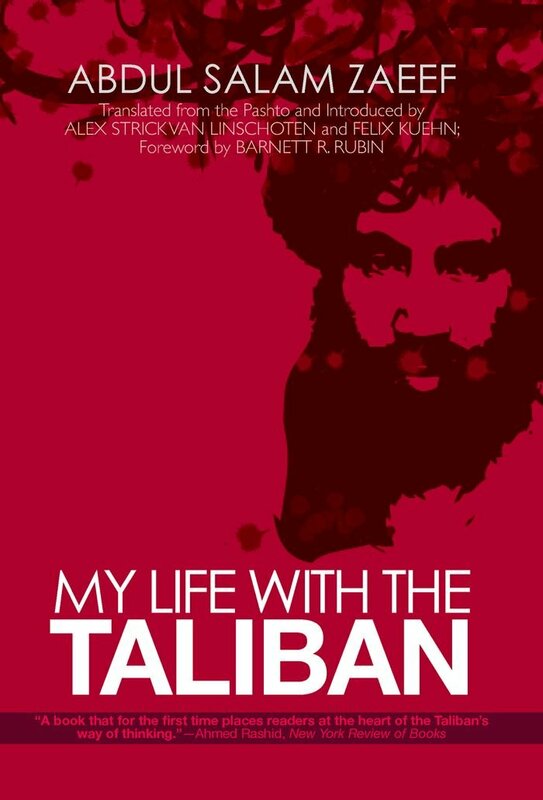 The Afghan Taliban, al-Qaida and groups like the ISI-sponsored Lashkar-e-Taiba are a difficult to separate mix of soul-mates who together constitute the global jihad syndicate and who still enjoy state sanctuaries or support. The scourge of transnational terrorism cannot be stemmed if deceptive distinctions are drawn between such groups. If any state were to cut a deal with a constituent of the global terror syndicate, it would likely encourage more international terrorism. In this light, India’s hosting of a Taliban leader is not statecraft. It is not even stagecraft. In reflecting a desire to cozy up to the Taliban, it reeks of diplomatic witchcraft. By playing host to Zaeef, India has only exposed the lack of consistency and direction in its foreign policy. No sooner had Prime Minister Singh decided to boycott the Commonwealth summit in Sri Lanka owing to human rights concerns there than his corruption-tainted government welcomed the Taliban mafiaso. Lost in the U.S. and Indian diplomatic maneuvers is the age-old wisdom: He who sups with the devil should have a long spoon.